Canoe camping is one of the best ways to throw yourself completely into the wilderness when the stress from your everyday life gets to be too much. A canoe trip might just be the stress reliever you needed, and packing the right equipment will allow you to have more freedom from those worries. Don’t plan on packing extremely light because a canoe trip could take a little time, and you want to be prepared for hours of beautiful landscapes. You need to pack smart, but also for the right weather conditions because you can be stuck out on the water embracing the nature surrounding you. Being prepared with the correct equipment will help you in case of any dangerous situations out in the wilderness. If you’re an avid photographer, it probably isn’t the best idea to bring your expensive camera unless you have some sort of waterproof protection. A GoPro camera is a great alternative for capturing the incredible views all around you because it is meant for adventure photos and video. If you’re looking to go on a canoe camping trip, Mattice Lake Outfitters is your best choice in Northwestern Ontario. We provide camping canoe trips, as well as moose hunting and fishing. The only way to get to our site is by seaplane, and we guarantee you will be engulfed in the wilderness for your entire stay. Contact Mattice Lake Outfitters at 1-800-411-0334 to book your next adventure! 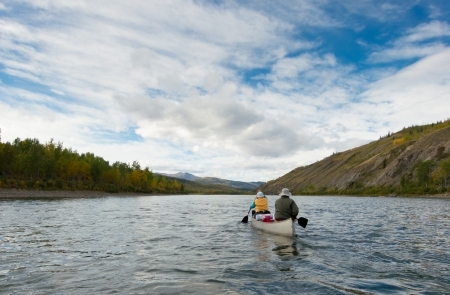 Kayak vs. Canoe: Which is Better for You?